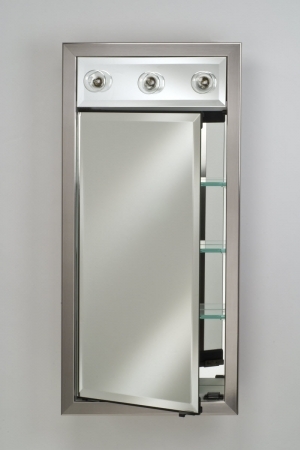 This contemporary styled mirror brings together a sleek design with functionality for the bathroom. 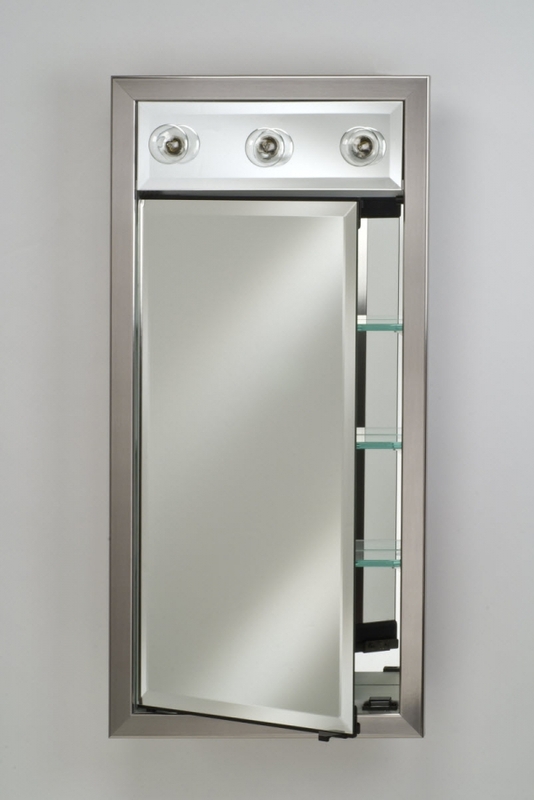 The large mirror covers the items stored within the ample space on the interior shelves. The light puts the focus right where it is most needed in the bathroom. The frame and fixture finishes are available in a wide selection.